As a business owner, your focus is on building and managing a thriving company. You want to recruit great employees, develop strong products or services, and snag lots of lucrative customers. 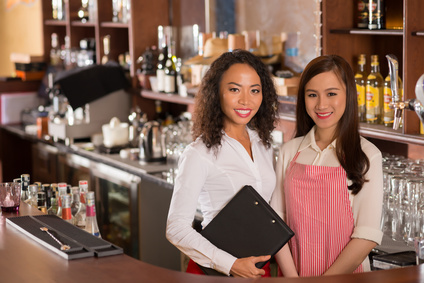 With all this on your plate, it’s easy to overlook the local, statewide, and federal labor laws that govern your business. You ignore these laws at your peril! One particular labor topic that you need to understand, especially if you are expanding into a new state, is the Right to Work laws in your state and/or city. What does this law mean, and is it the same thing as At-Will employment? Many people mistake “Right to Work” laws as laws that protect the rights of individuals to seek and have employment. Not so! Right to work laws center upon what rights an employer has to compel union membership and dues from employees. Specifically, Right to Work laws mandate that employers cannot compel employees to join a union and pay union dues in order to be employed. Additionally, union members have the right to cancel their memberships at any time without losing their job. In Right to Work states, unions must collectively bargain on behalf of all employees, even those who are not members. Non-members can also take advantage of their union to file grievances with their employer, though they may be required to pay dues to cover these services. In 1935, Franklin Roosevelt passed the National Labor Relations Act, also known as the Wagner Act, which gave companies the option to mandate that all employees join a union and pay dues. In response, in 1947, Congress passed the Labor Management Relations Act, popularly known as the Taft-Hartley Act, which allowed states to forbid employers from compelling union membership. These states became known at Right to Work states. Additionally, in 2016, the Sixth Circuit Court of Appeal decided in favor of the right of local governments to implement Right to Work laws. What Does Right to Work Mean for Employers? As an employer, it is crucial for you to understand whether or not your company operates in a Right to Work state and that you understand the particular laws in your local jurisprudence. If you do live in a Right to Work state, then you cannot force your employees to join a union or pay union dues as part of their employment. You must also allow employees to stop paying union dues if they should ever seek to cancel their union membership. If your state does not have Right to Work laws in place, then it is likely permissible that you can require union membership of all your employees and deduct dues from their paychecks. It is our recommendation that your human resources department work very closely with a labor attorney to determine what your rights and obligations are under the laws in your state. If you plan to open up locations in different states, it is paramount that your human resources team thoroughly investigate the local Right to Work laws so that you do not break the law! Laws, such as the Civil Rights Act, the Age Discrimination in Employment Act, and Americans with Disabilities Act codify these protections into law. Additionally, federal law protects employees from retributive termination. Employers need to be aware that certain states have passed laws to provide additional protections to employees, such as mandating that employers provide notice to employees before changing the terms of their employments. Some employers choose to hold themselves to stricter standards than At-Will employment by developing employment contracts that clearly lay out the conditions under which an employee can be terminated. These types of contracts, along with employee handbooks, may seem like they stifle employer prerogative, but they can actually help protect an employer from liability. Employment contracts also help employers build trust and transparency with their workforce, all critical elements for a well-run business. As with Right to Work laws, employers need to fully understand how their state interprets At-Will employment. They must also determine whether or not to offer employment contracts that provide extra protections to their workers. If you struggle to stay on top of Right to Work and At Will laws in your state, then consider bringing in an outside human resources agency to help you with these issues. At Arch Resources Group, we can provide your HR staff with the appropriate training to comply with local, state, and federal labor laws. We can also review your current operations and help identify any vulnerabilities. If you don’t have an HR department, then we can step in and cover all your HR needs. Take a look at all the services that we offer!